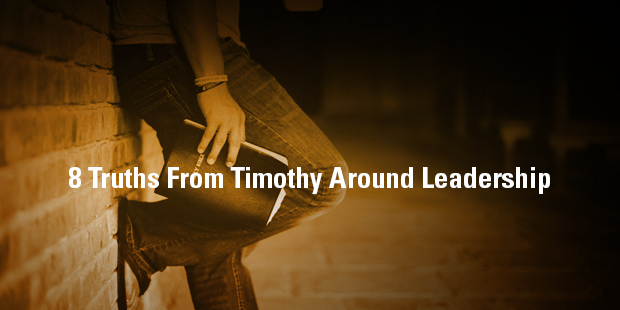 If you’re a pastor or ministry leader, you can’t help but be drawn to the first and second letters of the Apostle Paul to his young apprentice, Timothy. 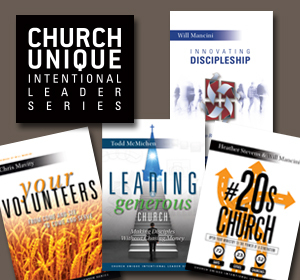 Every time I read through them, my heart burns within me and I’m taken back to those moments when I first began to serve and fulfill the calling God placed on my life to full-time ministry. As I write this, I’m preparing to preach the “charge” in the ordination of an amazing young man who was once in the youth group of the church I led as Pastor, and now he’s being commissioned as the Youth Pastor in that same congregation. 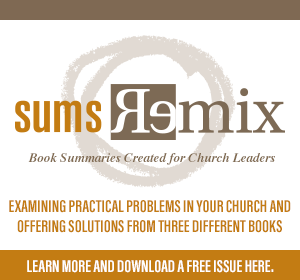 There’s so much I want to tell him… things I learned early on, things I learned the hard way over the last twenty-one years of pastoral ministry, and things I’ve had to unlearn and relearn, framed with a better understanding of both truth and grace. I remember your genuine faith, for you share the faith that first filled your grandmother Lois and your mother, Eunice. And I know that same faith continues strong in you. This is why I remind you to fan into flames the spiritual gift God gave you when I laid my hands on you. For God has not given us a spirit of fear and timidity, but of power, love, and self-discipline. So never be ashamed to tell others about our Lord. And don’t be ashamed of me, either, even though I’m in prison for him. With the strength God gives you, be ready to suffer with me for the sake of the Good News. For God saved us and called us to live a holy life. He did this, not because we deserved it, but because that was his plan from before the beginning of time—to show us his grace through Christ Jesus. And now he has made all of this plain to us by the appearing of Christ Jesus, our Savior. He broke the power of death and illuminated the way to life and immortality through the Good News. And God chose me to be a preacher, an apostle, and a teacher of this Good News. That is why I am suffering here in prison. But I am not ashamed of it, for I know the one in whom I trust, and I am sure that he is able to guard what I have entrusted to him until the day of his return. Hold on to the pattern of wholesome teaching you learned from me—a pattern shaped by the faith and love that you have in Christ Jesus. Through the power of the Holy Spirit who lives within us, carefully guard the precious truth that has been entrusted to you. 1. Lean into your calling and gifts. Paul told Timothy to “fan into flames the spiritual gift” given to him from God (v. 6). This stirring, this fanning, is an intentional and active process. It isn’t passive. It’s a matter of self-encouragement, like King David in the cave country when all were ready to forsake him. Leaning into your calling and gifts means you must develop yourself, practicing and exercising and learning daily. It means choosing to re-focus on the sovereignty of the One who called you and the One whose gifts you must steward well. 2. Choose to keep growing bolder. There will be many moments when you find yourself in the tug-of-war between boldness and timidity. Always err on the side of boldness, especially when it comes to representing God’s truth and grace. 3. Be ready to suffer. If you’re going to become the man or woman God wants you to be, you will have to walk through a fire. You’ll have to be broken. Education is great. Experience is helpful, too. But when it comes to growing mature leaders, suffering is the pathway God has chosen to grow and mature us. Making friends with your pain is part of leadership. Our pains tell us we’re moving in the right direction. New pains will always be a part of your life as you continue climbing the ladder to your destiny. Performance-based perfectionism is the typical pathway of a leader, but it’s an absolutely exhausting way to live. Paul says that God’s plan has always been to show grace to undeserving sinners through the cross on which Jesus died. The problem is we are often saved by grace to a life of striving to keep God and others happy with our performance. But if it’s grace that saves us, then it’s grace that will sustain us. 5. Keep it about the gospel. Occasionally someone will ask me when we’re going to get beyond the basics at Grace Hills and go deeper than “just the gospel all the time.” But it doesn’t actually get any deeper than the gospel. It’s the beginning and end of our cause for existence. When you look back to the good news about the redemptive and victorious story of King Jesus, dying, rising, and reigning for eternity, you get all that you really need for life and leadership. 6. Commit it all to Jesus. We know whom to confess – Jesus. We know what to commit – everything. We know when to collect – at his return. When I was wrestling with the call to ministry, my father-in-law and pastor, Danny Kirk, gave me a book to read, and it would shape the course of my ministry to come. It was the autobiography of Dr. W. A. Criswell called Standing on the Promises. That book, about a man who devoted his entire life to defending the truthfulness of Scripture, would help to set my own theological foundation going forward. The Bible is God’s book. It’s perfect, infallible, and entirely trustworthy. That doesn’t mean I have all of the answers to every tough question about it. It simply means that when I don’t fully understand, I trust, and I believe that in the reading and preaching of God’s Word, there is a supernatural, life-changing power. 8. Walk in the power of the Holy Spirit. Ministry is exhausting. Preaching the Word is a delicate and tedious task, when approached correctly. And Paul often talked about bearing the heavy burden of the care of the church. Without the power of the Holy Spirit, you’re already headed for burnout and exhaustion. But with his power comes the energy to keep going, to keep preaching, to keep serving, to keep building and organizing the church and raising up leaders. The pathway to the power of the Spirit isn’t trying harder. It’s trusting more. It’s yielding. It’s surrender and submission. This is ministry 101. Lean into your calling. Keep growing bolder. Be ready to suffer. Live under grace. Keep it about the gospel and commit it all to Jesus. Trust the Word and walk in the power of the Holy Spirit.